PAULA HOCKS’ARCHIVE, including many of the collage masters, is available for purchase in its entirety. It represents a unique record of early Xerox and photocopy art during a pre-digital era. Inquiries about the list of books and other materials can be made at Rulon-Miller Books in Saint Paul, Minnesota. 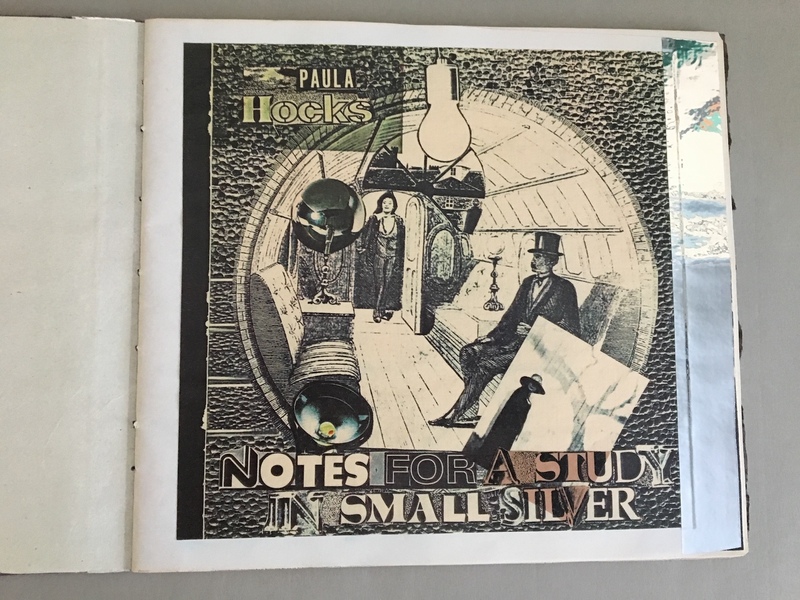 Paula Hocks thought of her handmade books as miniature galleries to be held in the hands. Each page was a canvas to which she applied her photographs, collage work and writings, typed or handwritten. 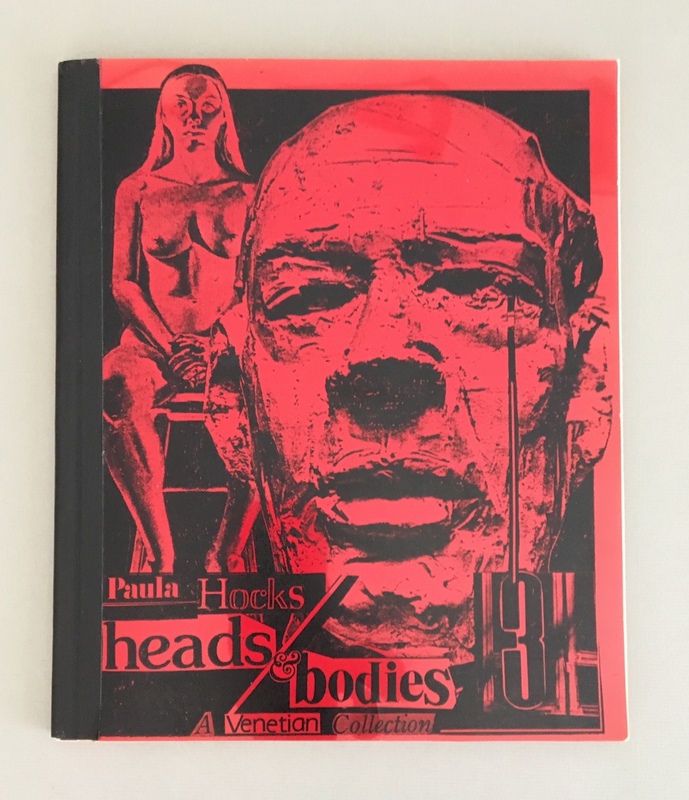 She established her Running Women Press in Santa Fe, New Mexico, in 1978, beginning with a series of books based on her sculptural studies called Heads & Bodies. 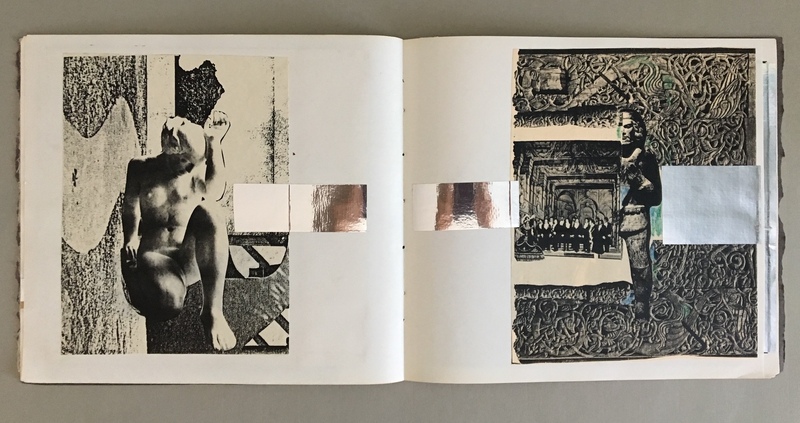 Over the following 25 years until her death in 2003, Hocks was prolific, passionately creating artist books and small book editions she either stitched and fashioned bindings for, or had them bound by professional bookbinders. 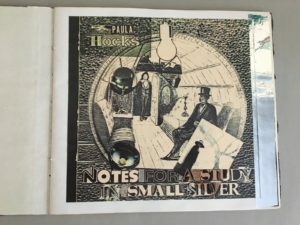 To Paula, Xerox —she called electrostatic printing — was the most accessible, modern medium of Xerox electrostatic printing available in the 1970s, a natural for a collage artist. Experimenting with Xerox on art papers and transparencies, she achieved rich black and white text enhanced by a few early color images, creating highly visual editions built on the classics, Surrealism and Dadaism. 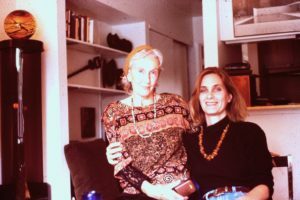 Her books are in numerous book are collections such as the Museum of Modern Art, the UCLA Jean Brown collection, and the University of Iowa. Priscilla Spitler is executor for the Paula Hocks archive of original book arts and photographs, including works on paper by California regional artist Fred Hocks.